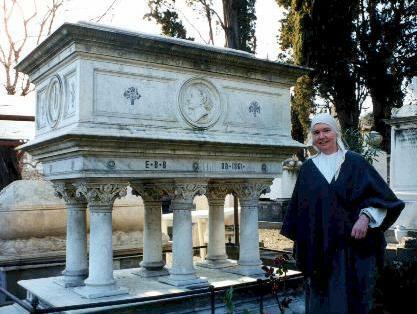 This blog is posted to members of the Aureo Anello Associazione Biblioteca e Bottega Fioretta Mazzei e Amici del Cimitero 'degli Inglesi' by its President, Julia Bolton Holloway, who invites comments, photographs, stories, contributions. At the UNESCO conference on computers and culture held at St Petersburg by UNESCO and the Russian Federation's Ministry of Culture, May 17-19, 2005, I spoke with others about our concern for the restoration of the famous English Cemetery in Florence and they urged me not only to continue its website but also to 'blog' to save this cultural monument. Particularly, Earl Mardle from Australia has been giving advice. 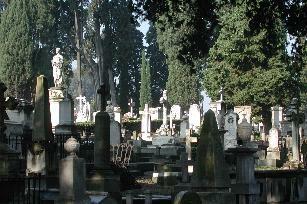 Aureo Anello Associazione Biblioteca e Bottega Fioretta Mazzei e Amici del Cimitero 'degli Inglesi'is created under Italian law as a cultural association made up of the international members of the library and of relatives and scholars interested in saving the historic cemetery. Aureo Anello takes its name from the plaque on the Brownings' Casa Guidi in Via Maggio, Florence (of which I have been Curator), stating that Elizabeth made of her poetry a golden ring, an 'aureo anello' between Italy and England, indeed, the English-speaking world. You can become a member through either giving its library a book each year or paying an annual subscription of fifteen dollars or both or more. When you are a member it is legal for you to acquire our hand-crafted books and sculpture to benefit the restoration of the 'English' Cemetery. If the Committee for the Evangelical Cemeteries consents to our partnership with them in saving the 'English' Cemetery, we can commit our organization to do all in our power, internationally, nationally (in England, America, Switzerland, Russia, etc. ), and regionally. We can seek to have the English Cemetery become a UNESCO World Heritage site. We could ask for support from the Regione Toscana which has already magnificently restored the non-Catholic cemeteries in Livorno. Italy has established FAI which is similar to England's National Trust and we can ask for their short-term support. It is possible in Italy for cultural bodies to receive grants from Savings Banks which by law must use part of their profits for charity and culture (a sensible law that should be adopted world-wide). We shall ask the Consuls and the Churches of the people buried here for their support for the Swiss-owned so-called 'English' Cemetery which is international and ecumenical, a dream from the past for the future, its tombs being Anglican, Protestant, Orthodox, Jewish, English, Irish, Scottish, Welsh, Swiss, German, Dutch, Danish, Swedish, Finnish, Russian, Rumanian, Moldavian, American, Australian and of many other nations. We hope to invite these diplomats and scholars to an English Tea at the 'English' Cemetery. 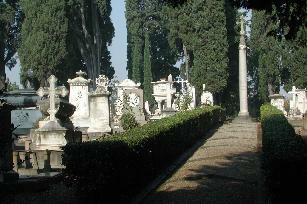 (Zeffirelli opened 'Tea with Mussolini' in this Cemetery.) We also ask for your support, in the form of letters and of donations towards the cemetery's restoration and upkeep. I particularly hope that the English Cemetery may be a UNESCO World Heritage site. My great grandfather, James Roberts, owned Saltaire, Bradford, Yorkshire, which was a model wool mill town and which is now a UNESCO World Heritage Site, he bought the Bronte's Haworth Parsonage and bequeathed it to the nation as a musem and he endowed a Chair of Russian at Leeds University. I suggest you Google 'Saltaire UNESCO World Heritage Centre'. 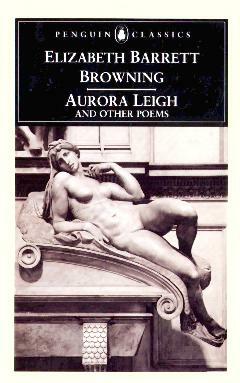 Besides this family connection to the Brontes, I have edited for Penguin Elizabeth Barrett Browning's Aurora Leigh and Other Poems and the proceeds of the copies of that book are contributed to Aureo Anello for the Cemetery's restoration. The Protestant Cemetery in Rome, where the English poets John Keats and Percy Bysshe Shelley are buried, has already been well researched and restored, thanks to a consortium of cultural organizations there, the Danes in particular taking in hand the cataloguing of its tombs, now on the Web. We have similarly catalogued all the tombs in Florence's 'English' Cemetery though there is more work to be done with transcribing their inscriptions in many scripts, Hebrew, Greek, Cyrillic, Roman, and many languages, English, French, Greek, Russian, German, Rumantsch, Danish. The 'English' Cemetery is situated on a cypress-covered hill that had been formed from the rubbish thrown over the now-torn-down medieval wall. 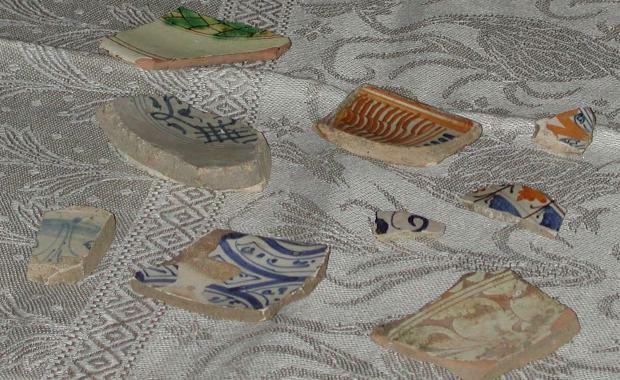 We researched and catalogued, with the help of Timothy Wilson of the Ashmolean Museum and Marino Marini of the Uffizi Museum, the Roman, medieval and Renaissance pottery shards we find in this hill made from the rubbish once thrown over Florence's medieval wall at the Porta a Pinti Gate. When that Gate, built by Arnolfo di Cambio in the thirteenth century, was destroyed in the nineteenth century, its two Shields with the Cross and the Lily were placed on our Cemetery's wall. Archeologically, the Piazzale Donatello area is important for Florence's thirteenth century as well as her nineteenth century. The Swiss bought the artificial hill by the wall in 1827 from the Grand Duke of Tuscany for the 'English' Cemetery. 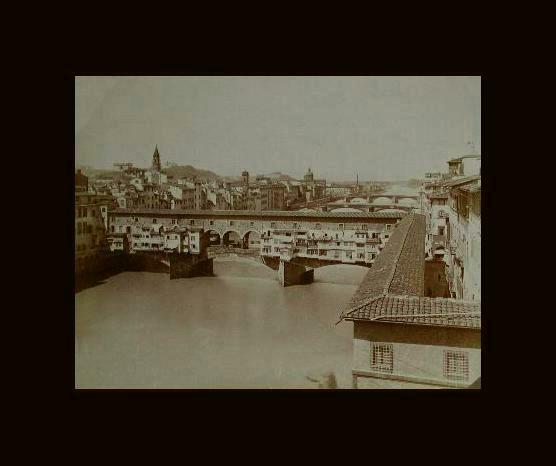 The Gabinetto Vieusseux has photographs taken by Hiram Powers' son, Longworth, showing it as it was. 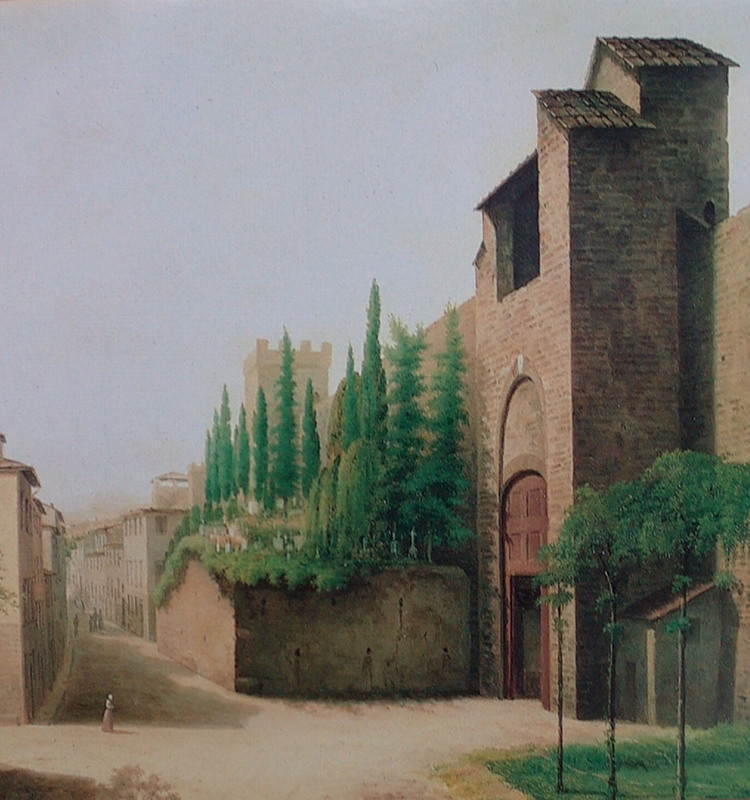 In 1877 the Swiss had to close the cemetery for burials as the medieval walls were torn down when Florence became temporarily capital of Italy at the Risorgimento and the Cemetery became within the city limits. Those fifty years when it was in active use were intensely creative ones in Florence and in Italy, many great poets and sculptors coming to Florence. Elizabeth Barrett Browning, Walter Savage Landor and Arthur Hugh Clough were English poets who are buried here, Hiram Powers and Joel T. Hart were American sculptors who are buried here, the Pre-Raphaelites, William Holman Hunt and John Roddam Spencer Stanhope themselves sculpted the tombs of Fanny Holman Hunt and Mary Spencer Stanhope, Mary Somerville buried her husband William here, after having taught Ada Lovelace, Lord Byron's daughter, mathematics, and Ada then, with Charles Babbage, invented the first IBM computer using Jacquard loom cards, Giampietro Vieusseux, founder of the Gabinetto Vieusseux (whose readers included John Ruskin, Robert Browning, and Fedor Dosteivksy), is buried here, Arnold Boecklin buried his seven-month old daughter Maria here and painted The Island of the Dead with the 'English' Cemetery's famous Etruscan cypresses, Henry Adams' sister, Louisa, is buried here and he writes about her in the 'Chaos' chapter of his autobiography, The Education of Henry Adams, Theodore Parker and Richard Hildreth were American advocates of the Abolition of Slavery who are buried here, Nadezda De Santis was a black Nubian slave whose marble tomb in the shape of an Orthodox cross tells us in Cyrillic and Russian that she was brought to Florence at 14, Frederick Douglass came straight from Florence's railway station to visit Theodore Parker's tomb, while many who are buried here wrote passionately against slavery in America and serfdom in Russia. Frederic, Lord Leighton designed Elizabeth Barrett Browning's tomb with broken slave chains against a garlanded harp, because she had written against slavery in her ballad, 'The Runaway Slave at Pilgrim's Point' and in her sonnet on Hiram Powers' sculpture, 'The Greek Slave'. The cemetery is a Florentine, Italian, European and World Monument about a moment in history that spoke eloquently for the freedom of nations, children, women, serfs and slaves. In 2000, we inaugurated the Biblioteca e Bottega Fioretta Mazzei, the library and workshop, in the 'English' Cemetery with books in multiple languages, especially those books written by and about the people buried here, many of these fine editions donated by Aureo Anello members. 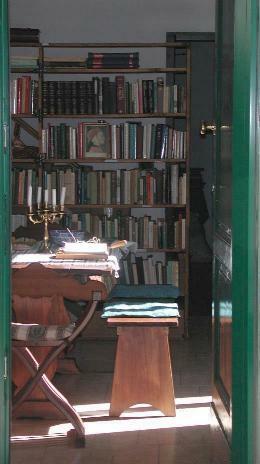 Our books, with their Catalogue on the web, include studies of the Alphabet, the Bible in the original languages, women contemplatives, pilgrimage, Greek and Latin Classics, Italian, Spanish, Portuguese, German, Icelandic, Welsh, English Literatures, Travel, Art History, women, peace and trauma studies, indigenous and migrant studies, Codicology and Paleography, Arts and Crafts and Children, ending where it began with the Alphabet. We have organized three international scholarly conferences, 'The City and the Book', the third dedicated to the 'English' Cemetery. We build our own bookshelves (like those in the Bodleian Library). We craft our own websites (giving the catalogues of the cemetery and of the library, and the Proceedings of The City and the Book I, II, and III Conferences) and this blog. The Library flourishes because of its rule that membership is through the gift of a book annually and it needs no money. Next to the library is the Bottega or Workshop where we typeset in William Morris font, sew and hand-bind with our marbled paper limited editions of Elizabeth Barrett Browning's Sonnets and Ballad and of Julian of Norwich's Showing of Love, using our nineteenth-century press, sewing frame and tools, having studied under Enrico Giannini of Florence, and frame and exhibit nineteenth-century sepia photographs of Florence. We encourage the work of artists like James Rotherham, Yorkshire, Petter Samerud, Norway, Hedera Cjuraru, Romania, Bruno Vivoli, Florence. Our Workshop as well produces the CD 'Florence in Sepia' giving the complete catalogue of the cemetery, as well as illustrated Victorian guidebooks to Florence, and the catalogue of the Exhibition, held in the Palazzo Strozzi, June, 2004, now held in the Cemetery's Gatehouse, of our nineteenth-century sepia photographs of Florence. 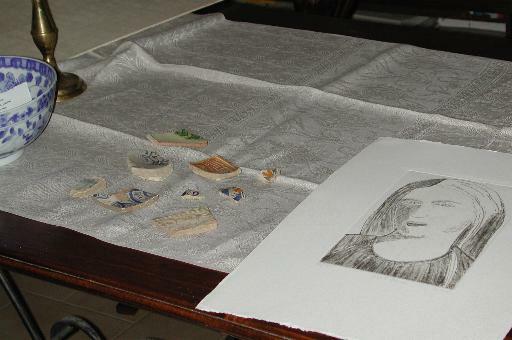 Our Workshop also makes in terra cotta Amalia Ciardi Duprè's sculpture of Harriet Hosmer's 'Clasped Hands' of Elizabeth Barrett and Robert Browning. We especially recommend these items for scholarly American university libraries. A donation for them will assist in the Cemetery's restoration. In this way we can preserve and restore what is a World Heritage. To save the 'English' Cemetery, to keep it open to the public and to make it viable economically we need a total of 300,000 euros, 100,000 euro of this for landscaping and stabilizing the hill with topsoil and plants such as lavendar and myrtle and 200,000 for restoring the marble and pietra serena of the tombs and the magnificent wrought iron work that often surrounds them. 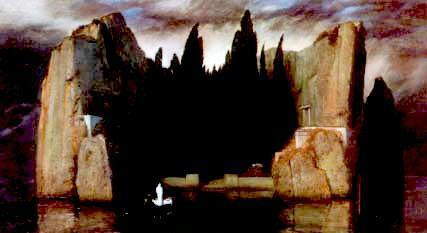 Nineteenth-century women and men writing about the English Cemetery spoke of it as a most beautiful garden. It is now put to weed-killer and gravel. But roots are needed to hold the hill together. The Comune of Florence has given permission for the burial of ashes, though not of bodies. It is our hope, with research and restoration, that the Cemetery can again become a working one, paying its way, being again beautiful, as well as a historical monument contributing to both Florentine and to world culture. We can accept cheques made out to 'Aureo Anello' in euros and to Julia Holloway in dollars and pounds, all of which will be paid into the 'Aureo Anello' account in Italy and then used to pay for restoration work in the 'English' Cemetery. We have been advised by UNESCO participants to use Pay Pal and would appreciate advice on how to do so. Most recently, with the funds we have received, we have placed wrought iron hand railings on the stairs of the entrance, replicating the Victorian style of the ambience and enabling the entry of the elderly and infirm. We hope next to place posts and chains in iron around the areas with tombs to prevent damage by and to visiting children, the pietra serena bases to the marble slabs having crumbled from water damage, making the tombs now unsafe for visitors. Given the current lack of financial resources for its restoration, we fear that this world monument may be closed.